where artists and art directors can privately share and review art licensing portfolios. 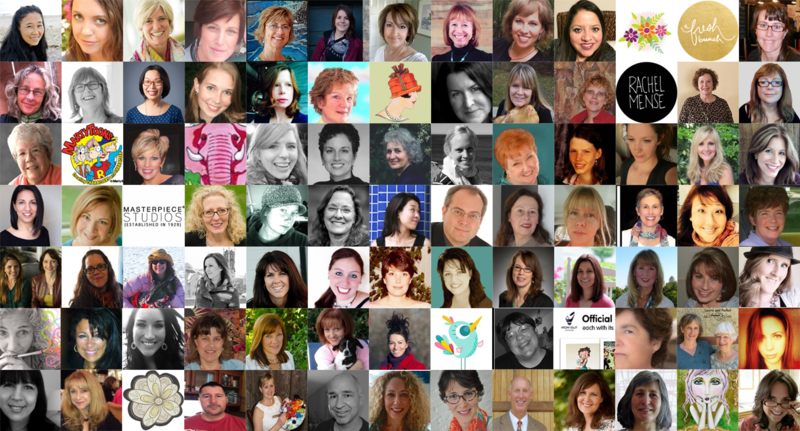 Welcome to the 24 / 7 / 365 Virtual Art Licensing Show! ONE SECURE PLACE to upload and manage your art licensing portfolio. 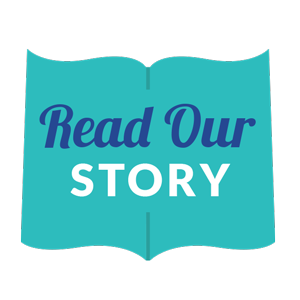 Share specific artwork with licensees by collection or by image. Never have to worry about managing permissions for a complicated portfolio website. We take care of all the fancy coding for you. Your portfolio has its own internal search functions, keeping clients engaged with your content. You work directly with your clients and keep 100% of your profits! Choose from our affordable portfolio hosting plans. ONE SINGLE LOGIN to access all the artwork shared specifically with you. Ask your artists to submit work here and free up your inbox for good! Favorite the pieces you love so you can find and license at the perfect time. Search ALL the artwork shared with you using keywords, artist names and drop-down menus. This is a FREE service for authorized licensees! No matter your role in the art licensing industry, this website's for you! Brand Managers, Press and all creatives who license art are welcome to apply for a complimentary account. I truly believe this site has great potential to help make my work more streamlined and efficient. Coming to one site, as opposed to a hundred different artists' sites, is a fantastic benefit for me. The site is everything I dreamed it would be and then some. The usability is top notch. the art buyers and manufacturers trying to browse and search for exactly what they need are going to be delighted! And as an artist, this solves so many of my presentation issues. Kudos to Cherish Flieder for her amazing work on this. what an undertaking! This is seriously a game changer! The site features are so well thought out, and helpful for the purpose of easily showcasing, and sharing art. The site is so user friendly, and simple to master in just a few minutes, that I think everyone will be thrilled with it. This idea is innovative and unprecedented, Cherish Flieder is really a pioneer in this state-of- the- art undertaking. Congratulations on this innovative, and important accomplishment! Having 4 kids and no family nearby, it's difficult for me to get away, so Surtex isn't a realistic possibility. That's the biggest reason I signed up to be a member ArtLicensingShow.com -- what a great (and affordable) alternative, which I'm very glad to be a part of this site. It was nice to 'meet' Cherish too... she has such a warm, upbeat personality! Glad to know her! The site is coming along beautifully, I can see it will be a wonderful channel for new talent and emerging artists who are building their licensing business but are not able to go to the big shows like Surtex. It is also all year round! Which is also a great resource for art licensees as well! It's amazing, and is very user friendly. I look forward to seeing all of you on there! Thanks again Cherish! I think the site is very user friendly, I'm easily finding my way around. It’s rewarding to see my profile expanding! It’s been fun testing the features of the site with you, to make sure they are functioning. You are prompt at fixing the little details that need fixing. This site is so amazing. I'm able to upload my images with ease and it was exciting. Thanks for creating this site for all of us. The talent and the organization and great vision. I got a kick out of seeing my images for a collection all together one after another on this site. They are clear and easy to access. It's also nice to be able to connect with old and new friends and other creatives on the site. I only see it growing into something amazing. What a feat this is...no doubt this will be highly beneficial to all. Animation, Art Direction, Branding, Calligraphy, Character Design, Children’s Books, Comics/Graphic Novels, Costume Design, Craft Design, Creative Direction, Digital Art, Drawing, Editorial, Fashion & Apparel, Lifestyle Brands, Film/Entertainment, Fine Arts, Floor Covering, Gadget Design, Garden Décor, Giftware, Graphic Design, Greeting Cards/Stationery, Home Décor, Illustration, Jewelry Design, Manufacturing, Marketing Design, Package Design, Painting Pattern Design, Photography, Print Applications, Printing, Product Design, Sculpture, Storyboarding, Street Art/Murals, Surface Design, Tabletop Textiles/Fabric, Toys/Games, Typography, Wall Covering, Wall Décor, and Web Design. are invited to register for an account at no cost. containing thousands of images from hundreds of artists, all in a single place! characters, children's books, wall and floor coverings, wall art and SO MUCH more! Licensees, View Portfolios from Around the World! Unlimited online networking and unabashed self-promotion for portfolio artists. 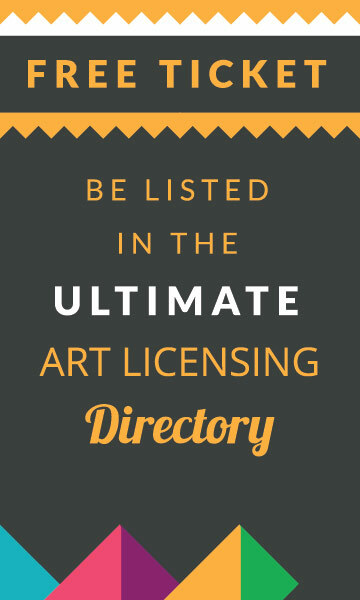 Get listed and found in the "Ultimate Art Licensing Show Directory." lots of new art to share with art directors. Apply for a Portfolio Account. Don't miss out! We have many exciting things to come. Get on the email updates list! 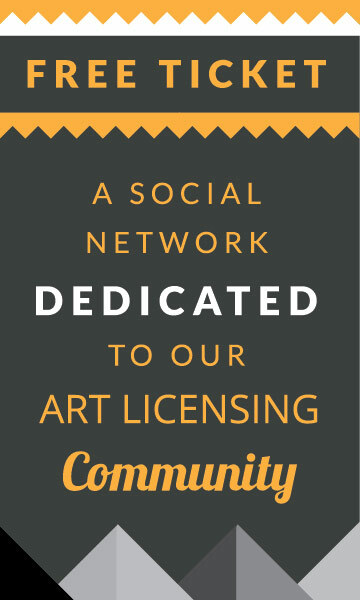 virtual art licensing community on the planet. We look forward to "seeing" you at the show!